In the run-up to the general elections in Germany on 24 September 2017, a group of German NGOs challenges the status quo of voting rights for third country nationals. At this point, third country nationals do not have any voting rights in Germany, not even on the local level. The campaign “wir wählen” (we vote) wants to change that. The network of engaged NGOs comprises of mostly small migrant organisations, labor unions, and cultural associations which use the digital infrastructure like Cloud-Services, or mailing lists provided by the Citizens For Europe network. Within this framework small NGOs are now able to organize events like symbolic elections for third country nationals, or discussion rounds a month before the official elections all over the country. There is still a lot to do, and you can take an active part in that! 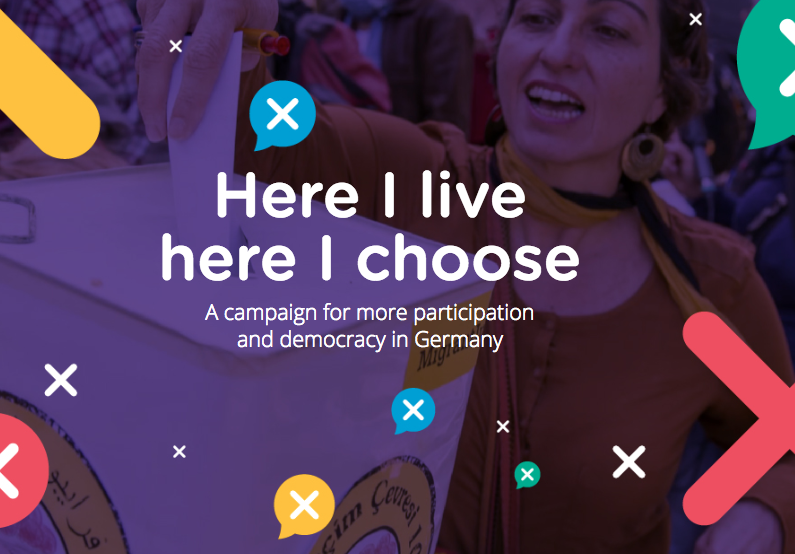 The ultimate aim of this campaign is to establish voting rights on the local level for all residents that live in Germany for at least 5 years, a right that EU citizens already have after living only 3 months in Germany. Ever since the 1960’s several organizations work on this topic in many European countries. Voting rights are different in every member state but the discussion about democratic participation in a mobile Europe are often the same. With the help of modern IT infrastructure as well as national and transnational networks, NGOs in Germany reached a whole new organizational level. Additional funds of 5000€ were provided by the Citizens For Europe network to develop a common design, based of previous campaigns. Together, small NGOs are able to act as significant players to make this German wide campaign a success. See here for how you can participate. See here for campaign material in multiple languages. See here for campaign material to create your own event. See here for background information about voting rights in Europe.